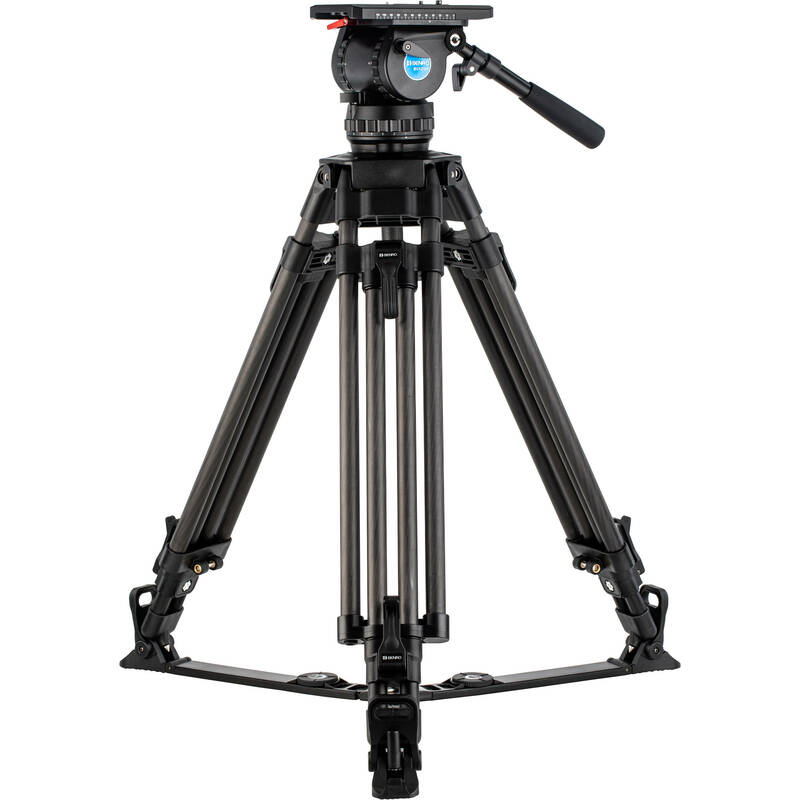 The Benro BVX Carbon Fiber Video Tripod Kit with BVX25H Head is a heavy-duty tripod system designed to provide a flexible workflow for on-the-go operators with large camera rigs. The included fluid head supports up to 55 lb and features 8 steps plus 8 half-steps of counterbalance, 8-speed pan and tilt dampening, and a snap-in quick release camera plate system. A small camera plate is included that can conveniently be attached to large baseplates and then be inserted with an entire camera load into the integrated quick release platform. This efficient system provides an easy way of mounting large camera rigs. The integrated platform can then be adjusted forward and backward to find the center of gravity. The 8+8 steps of counterbalance total to 16 steps, allowing you to dial in your counterbalance with more precision.